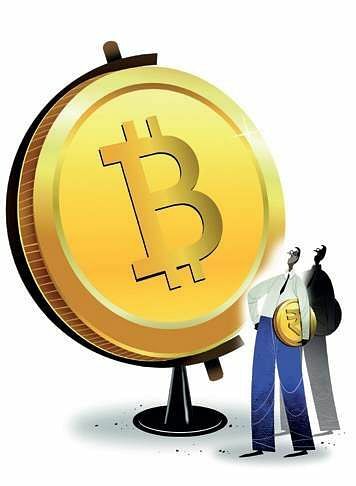 NEW DELHI: Investigating agencies are scrambling to uncover criminal money laundering cartels exploiting bitcoins, the virtual currency that has stormed global financial markets with prices rising by nearly 1,000 per cent in 2017. The Central Bureau of Investigation (CBI) has already started probes in at least six cases and a Deputy Inspector General-level officer has been tasked to dig deeper into illegal activities of traders of digital money who, the agency claims, are violating the regulatory framework and aiding hawala operators. In a recent top-level meeting, CBI officials disclosed the details of the cases but acknowledged obstacles in unravelling the end point as most players are operating through a dark net. They have also sought help from law enforcement agencies in Seychelles, Poland, France, Cyprus and the United States to access details of syndicates using the crypto currency in India for criminal activities. Internal documents accessed by The Sunday Standard shows the primary concern for the government is to cripple suspected criminal networks trading in digital money for alleged terror funding, money laundering, drug and human trafficking. Some officials have observed that bitcoins are turning into a new ‘e-hawala route’ for money launderers. Since demonetisation, a large number of people in India are trading in virtual currency, which is not authorised and monitored by the Reserve Bank of India (RBI) and financial institutions. The investigators also pointed out that virtual currency, due to complete anonymity, offers the easiest and fastest route to transfer illicit proceeds and deliver hawala money bypassing the conventional trade route. “The CBI has sought data from ‘G8 24x7 High Tech Crime Network’ of the US government. The agency has specifically asked for details of suspected Indians under the scanner. It has come to the notice that three Internet Service Providers (ISPs) were used to carry out 60 per cent bitcoin trading in India. Data has also been sought from some European countries under mutual legal assistance treaties on criminal matters,” the documents said.